The pile of recent dieting books is growing faster than the average American's waistline. 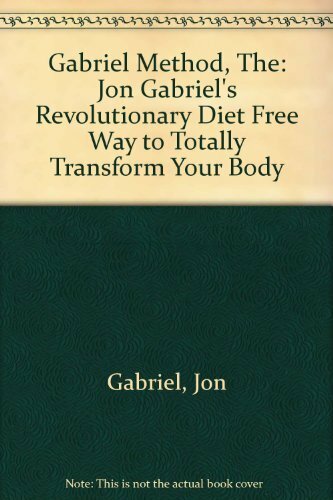 From the well-known programs that deprive and restrict to ones that rely on juice alone, it seems that everybody has an answer to the growing problem of obesity.When Jon Gabriel's life took an unexpected turn, he suddenly was awakened to the marvelous gift that he had been given-the opportunity to live-and was disgusted at how he had treated his body. At over four hundred pounds, walking, sleeping, and working was a struggle against gravity, and his life was a constant battle between emotional and physical satiation. He was slowly killing himself with food.Like the estimated 58 percent of Americans, and rising numbers in other countries, Jon was trapped in what he came to call the FAT-Famine and Temperature-trap. 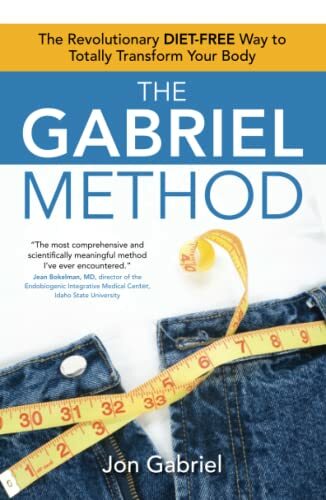 By studying biochemistry, Gabriel learned that your body has an internal logic that determines how fat or thin you will be at any given time. 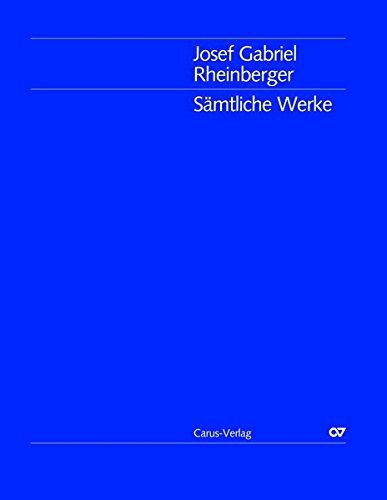 The way to lose weight is not to struggle or to force yourself to lose weight but to understand this internal logic and work with it so that your body wants to be thinner. When your body wants to be thinner, weight loss is inevitable and becomes automatic and effortless. You simply crave less food, you crave healthier foods, your metabolism speeds up and you become very efficient at burning fat, just like a naturally thin person. And that's the real transformation-to transform yourself into a naturally thin person, so that you can eat whatever you want whenever you want and still be thin, fit, and vibrantly healthy.After listening to The Gabriel Method, you will learn: Your body has a reason why it's holding on to weight-and it's not your fault.Fat is a cushion-a protective barrier that our mind believes is helping to protect us.If you can change that belief, you can change your body; stop the cycle of crash dieting and start eating what you want, when you want it.How to choose healthy, nutritious foods that nourish the cells in your body, not starve them.The simple way you can train your mind and body to work with your goal of health, not against it.How to eliminate the emotional and mental reasons your body holds on to weight in just 10 minutes a day.It certainly worked for Jon; he lost 225 pounds in two-and-a-half years, going from 409 pounds to 184, without suffering, dieting, or anguishing over his body. Unlike most people who lose an extensive amount of weight, his skin tightened up and now is indistinguishable from that of a person who has been healthy his whole life. 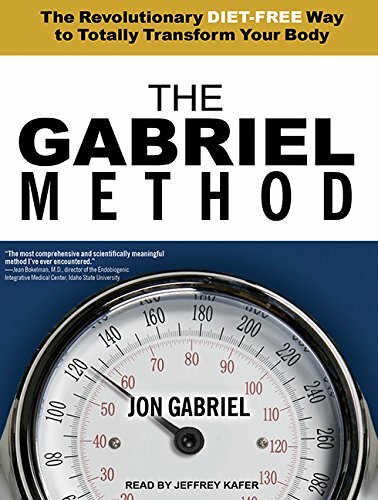 Jon Gabriel, the author of The Gabriel Method, has been featured widely in the media for both his incredible weight loss story and for his success in helping others lose weight. Most weight-loss programs place minimal attention on the mind-body connection, and this is where they fall short. Nothing is more important than understanding the way the mind and body are communicating with each other, especially when it comes to stress. This is why feeling safe, and understanding and addressing mental and emotional stress is of paramount importance when you want to lose weight. 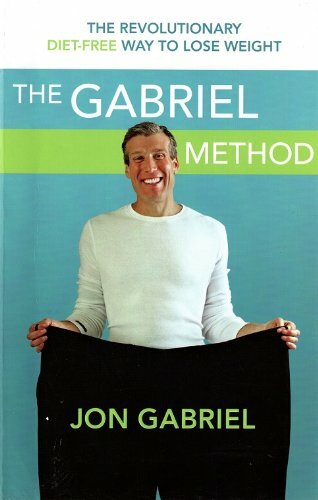 Keep in mind that when Jessie's body got the message "Thin = Safe," even giving him the richest, all-you-can-eat, optimal nutrition couldn't make him any fatter because his body didn't want to be fatter. No amount of raw calories could convince him of that. And when his body wanted to be fat because Fat = Safe, it was easy for him to put on weight. Human lives tend to be more complicated than Jessie's, but not as far as our bodies are concerned. Every time you have mental or emotional stress, it generates chemical changes in your body -- chemistry that activates ancient survival programs inside us. But which program is it going to activate? Is it going to activate the "Buddy's chasing me" / thin program, or is it going to activate the famine program? Because if it activates the "Buddy program," it will make your body want to be thin, and if it activates the famine program, it will make your body want to be fat. This explains why the same superficial stress makes some people put on weight and some people lose it. In an abusive, emotional situation, one person may put on weight as a shield, while another person will shed weight in preparation for running away. It's all very primal. It's all a result of basic instincts. And it's these basic instincts that have kept your body locked into an unacceptable weight situation. But the facts also provide your key to liberation. If you don't address this point of mental and emotional fatcausing stress, any type of eating or behavior modification you make will yield marginal results at best. Not only that, it will be exhausting and extremely frustrating. It will feel like you're driving a car with the emergency break on. But when you do get this point right and feel safe, and your body is no longer interpreting the stresses in your life as a type of famine or harsh weather, your body will no longer want to be fat. Weight loss is not only easy, IT'S INEVITABLE. If your body wants to be thin, there is nothing you can do to stop it. Your metabolism will speed up, you will be less hungry, you will crave healthier foods, and you will become very efficient at burning fat. It makes sense that our brains could interpret any mental or emotional stress that originates from a feeling of lack as a kind of starvation. In a sense, any lack is a form of starvation. Whether you feel that you don't have enough money, love, attention, or meaning in your life, the feeling is lack -- not enough of something. Our brain takes this message of lack and has to translate it into physical terms. The most crucial type of lack that the most primitive part of the brain understands is the physical lack of food, because food and water were the primary things our ancestors could be lacking. So, as a result, the brain can interpret any form of mental, emotional, or even spiritual lack as a lack of food. What we commonly think of as stress -- the frantic and sometimes desperate ongoing struggle to make ends meet and get ahead in life -- can sometimes trick your body into thinking that it must be a time of famine, so it activates the FAT Programs. This chronic stress can very easily mimic the chemical signals that are created when we are starving; chronic stress is alarming but not immediately life threatening. It's not like a tiger chasing you, for example, so running away won't necessarily make it better. It's more like a famine or a cold winter: it's always there and you just have to take it -- grin and bear it. Interestingly, famine and the daily grind have something in common. Your body perceives them both as chronic, low-level threats to your long-term survival. When you don't eat enough every day, day in and day out, you're not going to drop dead on any one day from starvation. But over time, if left unchecked, you could starve to death. In the same way, in the modern day famine, if you're late for work on any given day, nothing is going to happen. If you're late every day, day after day, you might get fired. If you get fired, you might not be able to make ends meet. If you can't make ends meet, you might not be able to afford your house or apartment, or even have enough money for food. If you don't have enough money for food, you might starve. In a sense, your brain is correct in interpreting this fear as a fear of starvation. However, you can be a millionaire and still be worried about making ends meet, or about getting ahead. It's how much you worry about it and how your brain interprets the fear that matters, not the objective reality of the situation. Spiritual longing is really a desire to connect with our soul, our creator, or whatever else we may chose to call our one true source. This can be a type of starvation that activates the Fat Programs, but there's more to it than that. When we feel disconnected, food can sometimes be a way of connecting with the outside world. Think about what you're doing when you're eating -- you are taking something that is outside of you and you are bringing it inside you in a very intimate way. You are connecting and merging with that food, and that food becomes you; eating becomes a surrogate for the true connection that we desire. When we have spiritual starvation, there can be the tendency to "fill the soul" by eating. You can also be starving for meaning and purpose in your life, and this can activate the FAT Programs. As a matter of fact, researchers have discovered a statistical correlation between lives lived with a sense of purpose and a healthier weight.2 Living life in a way that we feel is meaningful -- feeling like there is a purpose to our existence -- nourishes our soul. Meaning and purpose are "soul food," and many of us are starving for this essential, nonphysical nutrient. Here's a bit of practical (or impractical, depending on the situation) advice. Whatever you really want to do but are afraid to do -- DO IT. Take the chance -- follow your heart. It's essential to listen to the messages from your heart. These messages are your soul's desire. They communicate to you what you are meant to be doing at any given time in your life. If you don't follow these messages, you will inevitably be straying from your life's path. If you don't listen to the messages from your heart, the feeling of longing and frustration is never going to go away; it will only get worse. Negativity constricts the flow of grace into your life, causing pain and emotional starvation. I recently saw Gina, a friend of mine who I have not seen in several years. She wants to lose weight and is on a very austere, low-calorie, low-fat, low-carb diet. She's not even allowed sweet peppers because they have too many carbs. Gina's a teacher, and she's tired of being a teacher. Exhausted, she says she would like to retire in a few years, but she doesn't have the money. In her spare time, she paints and has several hundred paintings in her shed to prove it. When she showed me the pictures in her portfolio, they took my breath away. She entered two of them in contests and won. So I asked her the obvious question: Why aren't you selling your paintings? She said that she was not sure anyone would like them. And as she said this, she hunched her shoulders and tensed her muscles. You could tell Gina was uncomfortable with where the conversation was going. I said to her, "Wait a minute! You're tired of what you're doing for a living, and your heart isn't in it. In the meantime, you do have something that you love doing, something you would do for free anyway and something you are obviously good at. You have already produced several hundred paintings that are just gathering dust. You would like to lose weight and you are starving yourself to try to do it. You would like to retire but you're not making enough money." At that point I got a little animated, and I said, "Let me tell you something. Your weight problems, your financial problems, and most likely any other physical or mental pains you are experiencing all center on one single issue. You have something you love to do and were born to do, and you're turning your back on it. Having something that you love doing is a gift from the universe, and you're rejecting it. When you reject that kind of gift, you are rejecting the grace that goes along with it. As a result, you struggle, you yearn, and you starve." Then I told Gina in no uncertain terms: "Take the chance! Follow you heart! Embrace your life's destiny!" When we said good-bye and Gina walked away, she looked shell-shocked. She was in a daze of realization. This is a common theme. If we fail to follow our hearts, obesity is often the result. Yearning causes emotional starvation and activates the FAT Programs. There's a simple rule to follow.